A Progressive Conservative government would invest $98 million per year to help low-income access dental care, Doug Ford said Saturday. A Progressive Conservative government would invest $98 million per year to help low-income access dental care, party Leader Doug Ford said Saturday. 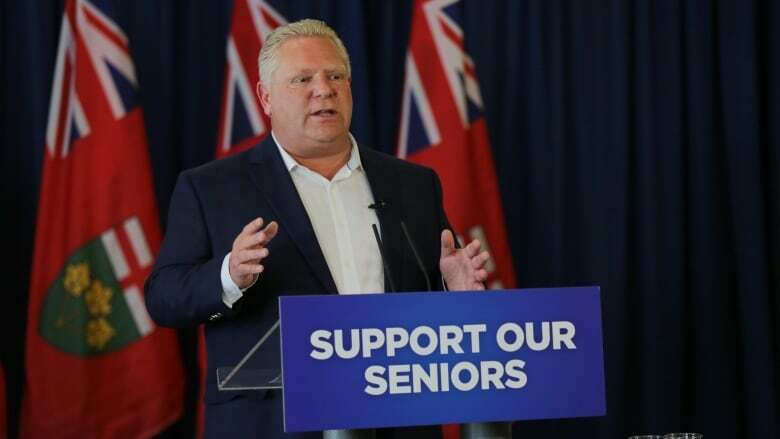 "Many Ontarians have dental insurance, but two thirds of low-income seniors cannot afford it," Ford told reporters in Toronto. "They end up in the ER due to unbearable dental pain. More suffering for seniors and more strain on our health care system." According to a release issued by the party, the plan would be implemented in two phases. First, more money will be put into "Public Health Units, Community Health Centres, and Aboriginal Health Access Centres." Second, a PC government will increase funding for dental care in under-serviced areas and establish more mobile dental buses to serve remote communities. Ford said the plan could help up to 100,000 seniors each year. The PCs would use the same threshold as the Ontario Drug Benefit, meaning a single senior with a $19,300 or less income or a couple with a combined income of $32,300 or less will be eligible. "I want our seniors to know that relief is on the way. Help is on the way. Our seniors built this province, they took care of us, they raised us," Ford said. "It's time we do more to take care of them," he continued, reiterating his party's previous pledge to create 15,000 more long-term care beds over five years. For it's part, the NDP has promised a $670 million investment to extend publicly funded dental coverage to all seniors. The pledge is part of a larger $1.2 billion proposal to provide coverage to every person in Ontario. Under the Liberals' proposed Ontario Drug and Dental Plan laid out in the 2018 budget, seniors without coverage would qualify for a reimbursement on dental expenses up to $400 for an individual or $600 for a couple. The budget did not clarify if the program would extend to those on social assistance or receiving disability payments.